This is me (Jen) with my 13 month old Nate. This is a very rare instance of me babywearing at home. I work full time, sometimes more, and and don’t often get the chance to wear at home. 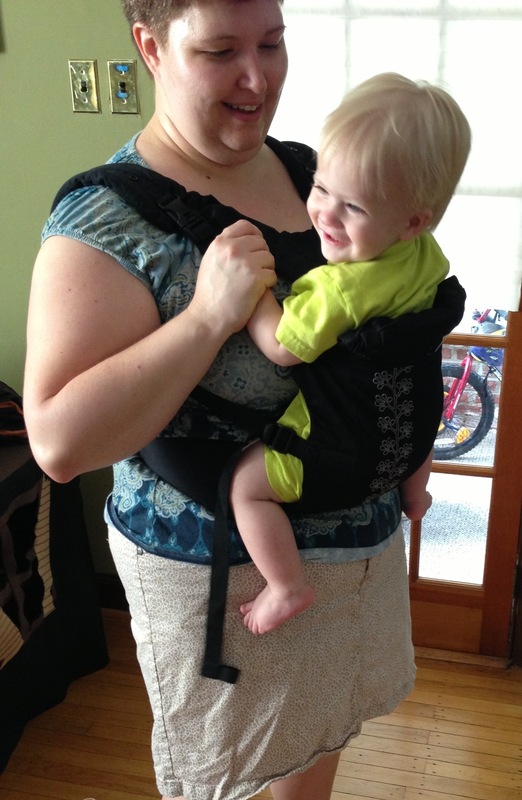 On this occasion, I was feeling “churny”, so Nate was helping me model some carriers that I was ready to sell. He was clearly thrilled to be worn and became quite upset when I took him down, so I ended up putting him back on for a while. It was a lovely reminder that we both really enjoy the closeness.